← Do You Know The Difference Between Left and Right? 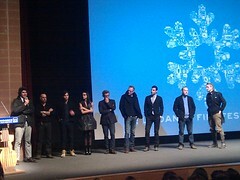 At the 2011 Sundance Film Festival, an independent film by the name of Margin Call made its debut. It was released in theatres a couple of weeks ago, while simultaneously being released on iTunes and Amazon. Meaning, instead of having to drive out to the theatre, you could watch the movie from the comfort of your comfortable couch. I had seen a few bits about the movie in the news that piqued my curiosity, so I took the time to watch it. I was pleasantly (or maybe unpleasantly?) surprised. The film covers the actions of an investment bank over a 24-hour period. It focuses on the events leading up the financial crisis of 2007-2008. In essence, the movie is one possibility for some of the events that precipitated the crisis. 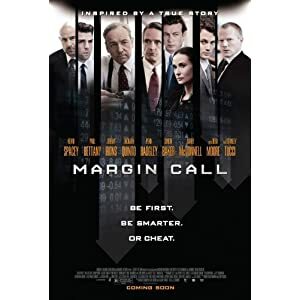 I want to make it clear that I am not saying that the events from Margin Call are what happened, but I think it presents a perspective that hadn’t been adequately articulated in any of the other articles, books, or movies that I’d seen on the subject. I’ve written about economics here before (most notably in the American Public Policy series), but after nearing completion of a Managerial Economics course through business school, I have a different perspective on the economy. Maybe more importantly, I have a more nuanced understanding of why things happen the way they do in the economy. Pairing that with some of the things I’ve read/heard outside of business school make for an interesting take on the state of the global economy. “When did you start feeling so sorry for yourself? It’s unbearable. What, so you think we might’ve put a few people out of business today? That it’s all for nought? You’ve been doing this everyday for almost 40 years, Sam. And if this is all for nought, so is everything out there. It’s just money. It’s made up. Pieces of paper with pictures on it so we don’t have to kill each other just to get something to eat. It’s not wrong. And it’s certainly no different today than it’s ever been. 1637, 1797, 1819, 37, 57, 84, 1901, 07, 29, 1937, 1974, 1987, 92, 97, 2000 and whatever we want to call this. It’s all just the same thing over and over. We can’t help ourselves. And you and I can’t, control it or, stop it, or even slow it. Or even ever so slightly alter it. We just react. As I said, this is only one perspective on what happened, but I found it quite interesting to see a depiction of what it might have been like to be on the inside of a firm grappling with what to do prior to the financial collapse. I hope you take the time to check out this movie. This entry was posted in Business, Entertainment and tagged Economics, Movies, Perspective, Quotes. Bookmark the permalink.